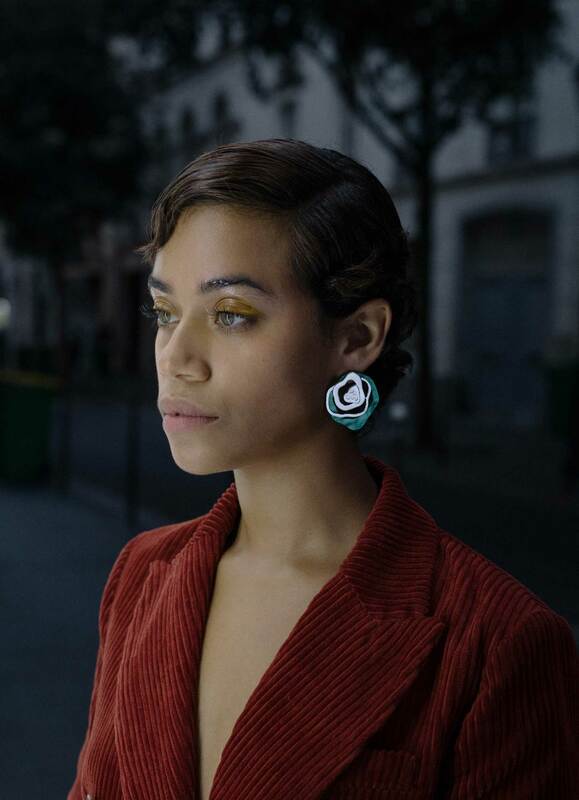 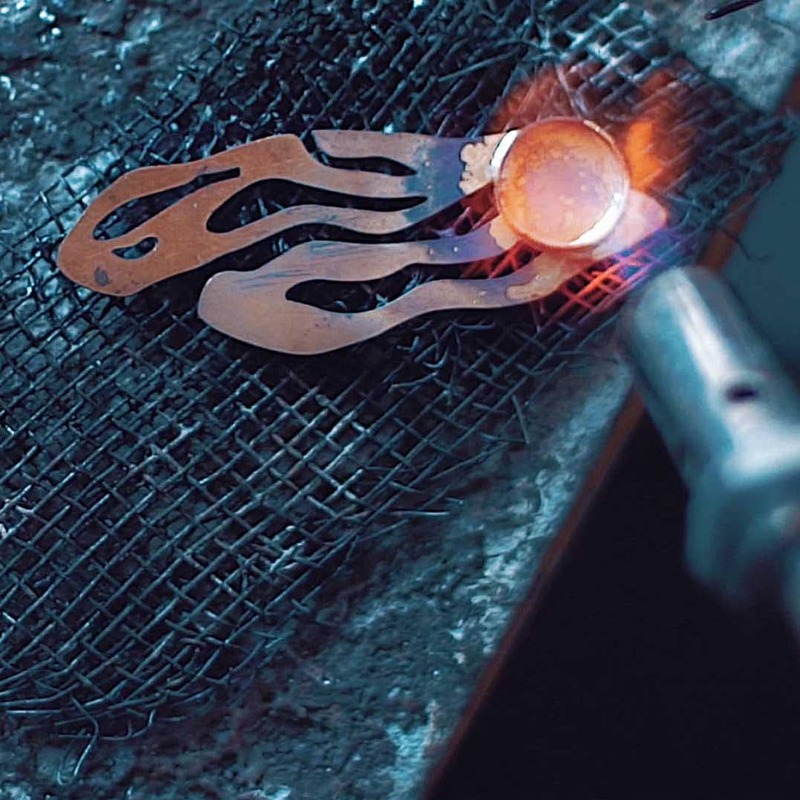 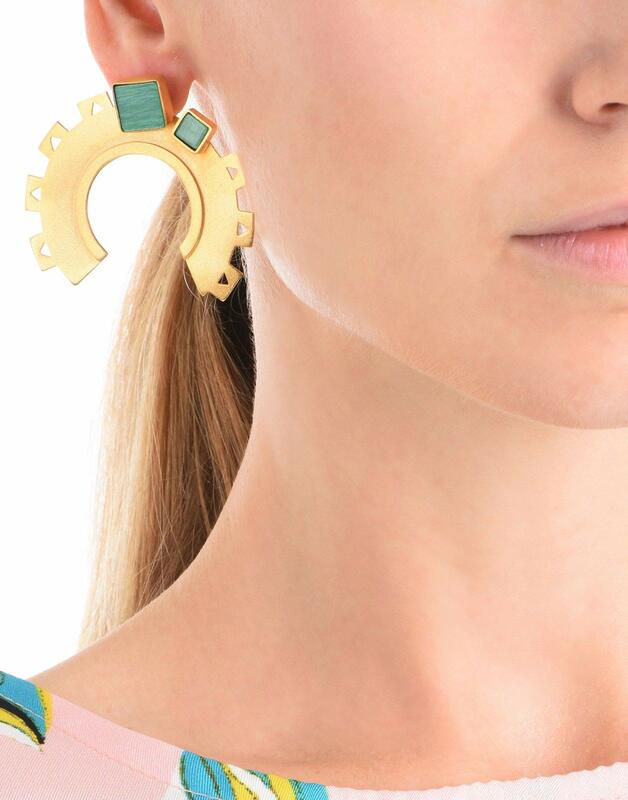 Inspired by the industrial cog in the wheel, the Cogs and Wheels Earrings are designed to celebrate the woman's journey through the rigidity of the urban life. It features cut-out detailing and a detachable stud that can be placed in any of the cut-outs for a playful look. 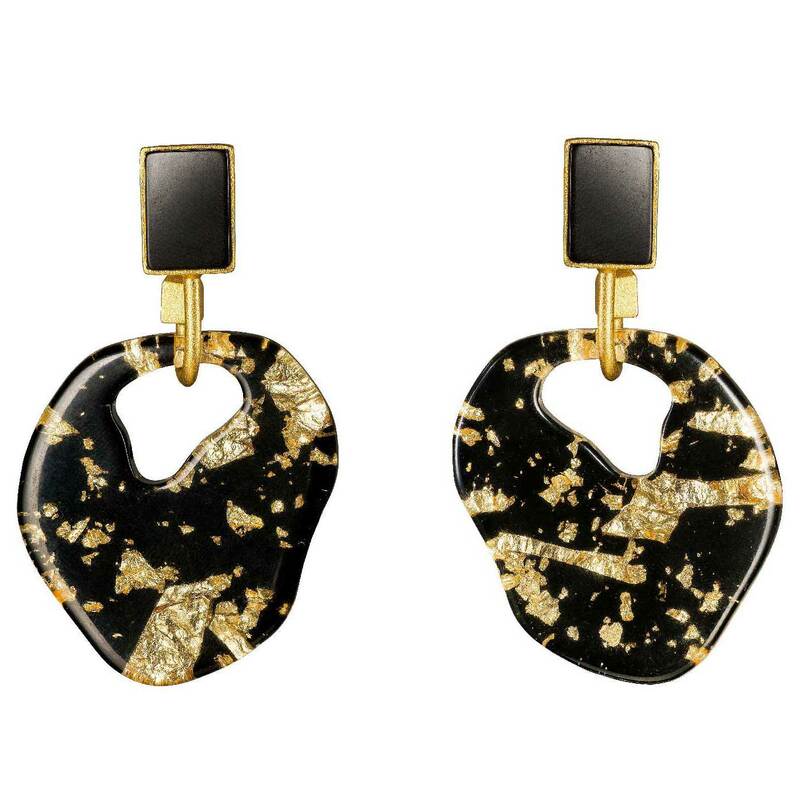 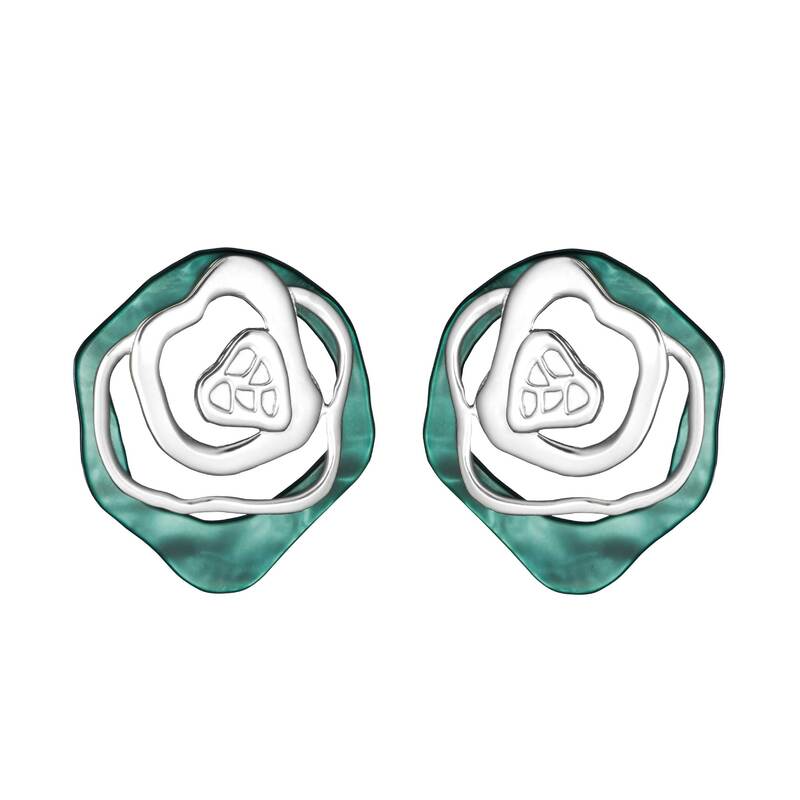 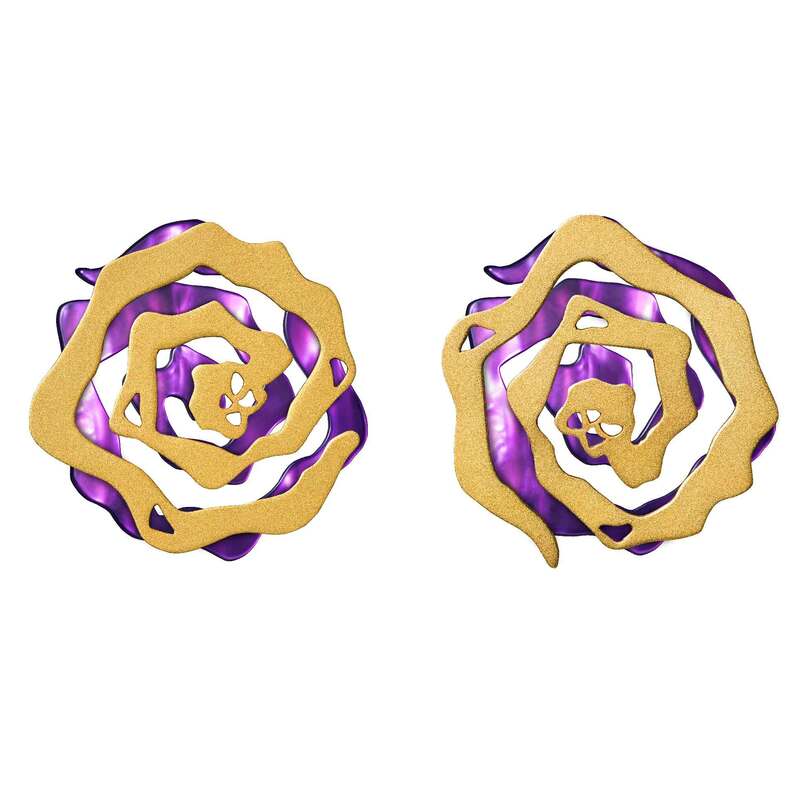 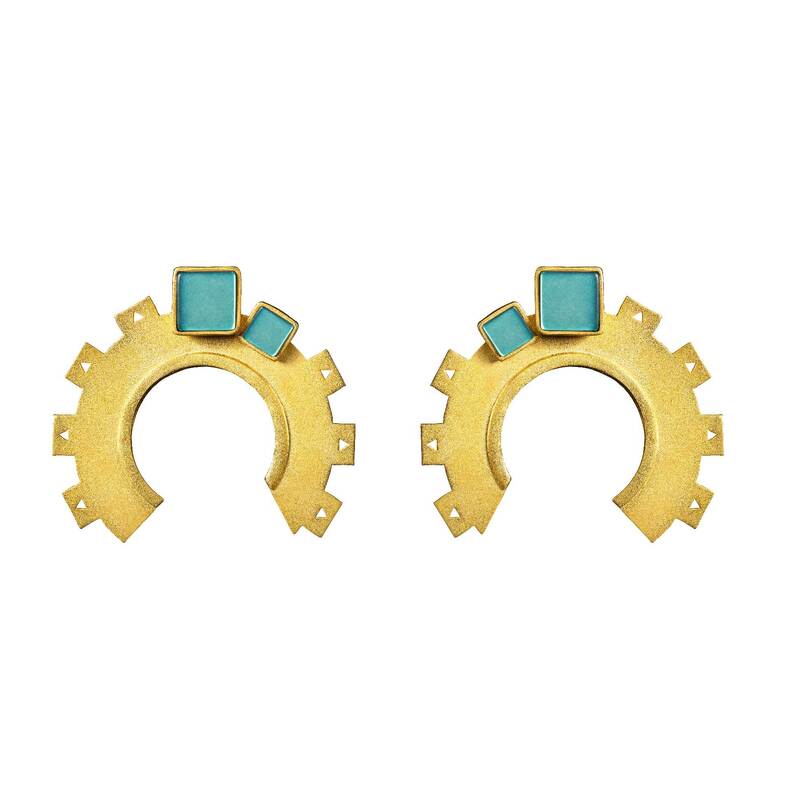 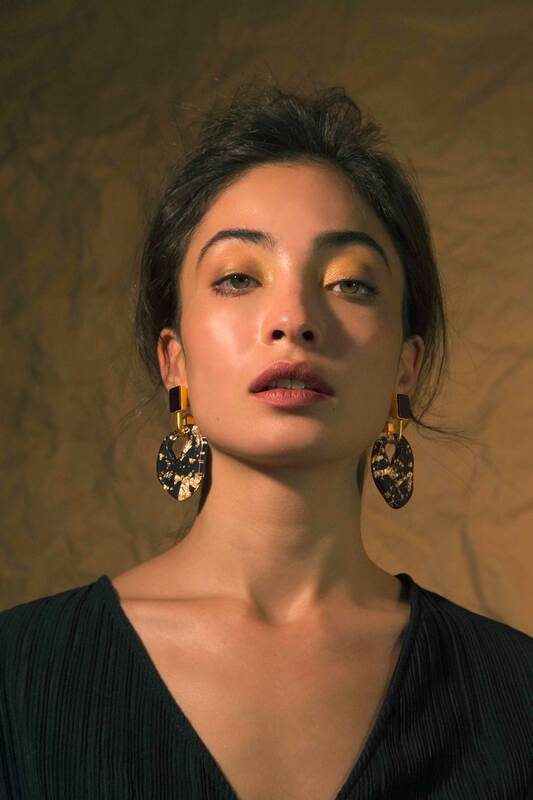 These handcrafted earrings are made of brass dipped in 18k gold with a matte finish, featuring cutout detailing and custom-made Resin stone. 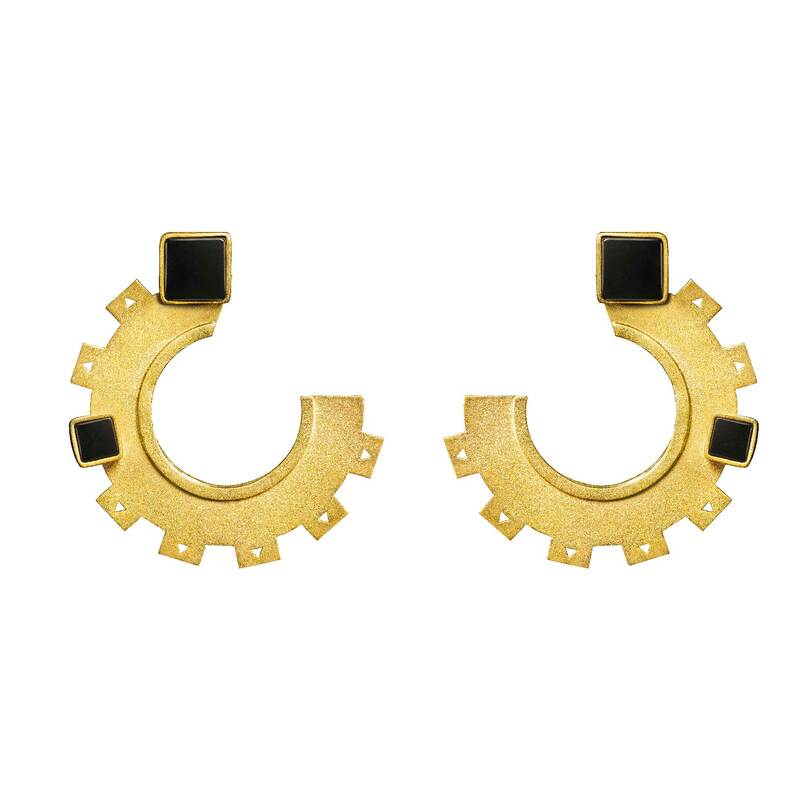 The stud-piece can be detached from the hoop and placed in any of the triangle cutouts for a different look everyday. 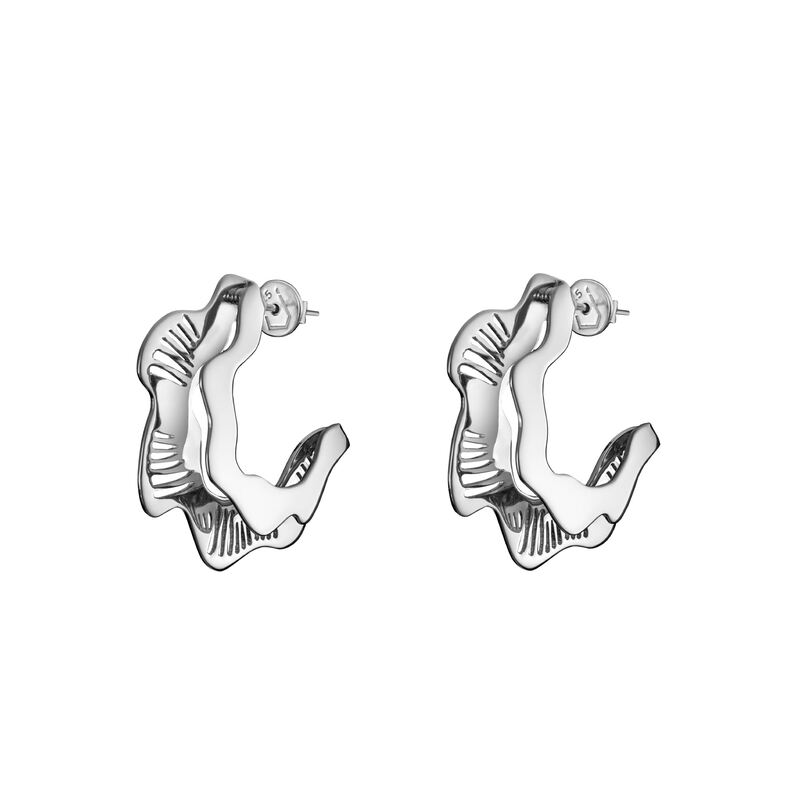 We love how they catch the light when your hair is swept back.